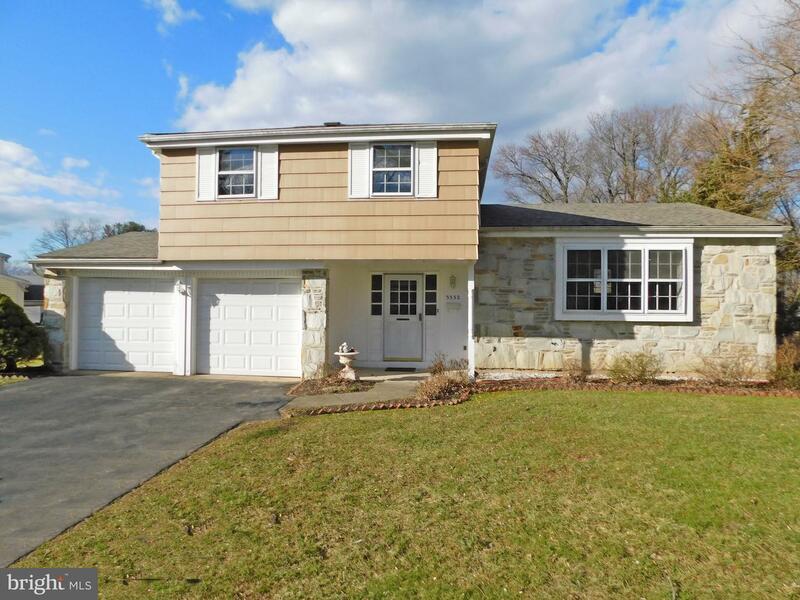 Lovely stone front split level home located at the end of the street in the desirable Brookwood section of Bensalem. Enter into the large foyer with closet space. Family room with new carpet and wood burning stone fireplace. Finishing this level is a spacious laundry room with direct access to the 2 car garage and rear exterior of the home. The living room with large picture window and hard wood floors flows into the dining room also with hardwood flooring. Kitchen offers a microwave, dishwasher, garbage disposal and a newly tiled backsplash. Upstairs are 4 bedrooms all with hardwood floors and 2 full baths.The newly carpeted basement provides a great play or office area. The entire house has been freshly painted. New roof installed 2 months ago. Neighborhood provides easy access to Street Rd and I95.